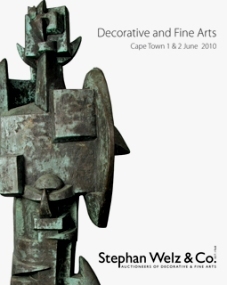 Stephan Welz & Company’s Cape Town auction takes place on Tuesday 1 June & Wednesday 2 June 2010. A highlight of the sale includes works by four of the most prominent and respected female members of the New Group – Maud Sumner, Irma Stern, Maggie Laubser and Freida Lock. Strauss & Co’s Johannesburg auction takes place on Monday 24 May 2010 at Country Club Johannesburg, Woodmead at 4pm and 8pm. For more information please call 079 407 5140 and 079 367 0637. 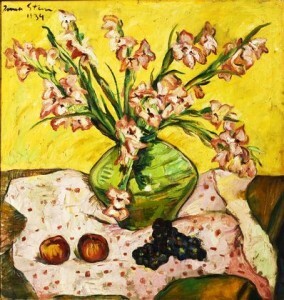 Grahams Fine Art Auctioneers: “The Important 2010 impressionists/Modern, Post-War & Contemporary Auction” will take place at Summer Place in Hyde Park on Tuesday 18 May and Wednesday 19 May. This greatly anticipated event will provide art buyers with a vibrant array of works in various mediums that range from works on paper to oil paintings and sculptures. 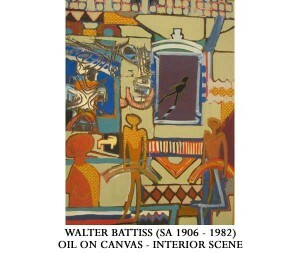 All art works are of the highest quality and prestige, by artists such as Walter Battiss, Thomas Bowler, Ruth Everard-Haden, Pranas Domsaitis, William Kentridge, Maggie Laubser, Freida Lock, Hugo Naude, J.H. Pierneef, Alexis Preller, Irma Stern, Louis van Essche Maud Sumner, Cecil Higgs and Gregoire Boonzaier. Pre-viewing of the collection will take place at Graham’s Fine Art Gallery at the Broadacres Lifestyle Centre from 6 May to 11 May, 9am – 5pm and then at Summer Place in Hyde Park from 13 May to 17 May, 9am – 6pm. 5th Avenue Auctioneers will be holding an auction on Sunday 16 May from 10am. 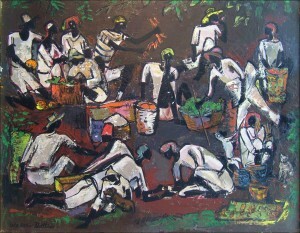 Work by the following artist will on auction, Errol Boyley, Sydney Carter, Titta Fasciotti, Adriaan Boshoff, Walter Battiss & Gerard Sekoto amoungst others. Russell Kaplan Auctioneers will be holding an on Saturday 8 May. 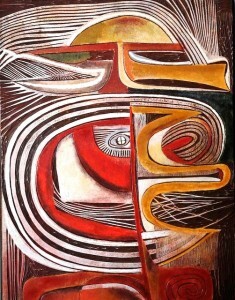 Art on auction includes works by Cecil Skotnes, Robert Broadley, James Thackwray, Terence McCaw, Walter Battiss, Iris Ampenberger, William Kentridge, Alexis Preller and George Pemba amoungst others.